Hot air balloons; public domain photo from PDphoto.org. 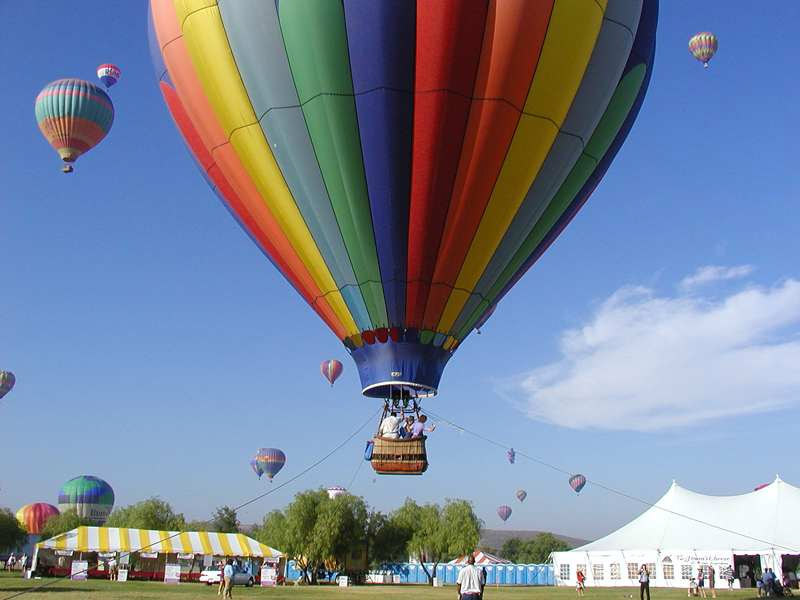 Hot air balloons operate through the basic principles of gravity and hot air rising. As air inside the balloon is heated, it rises. As the air inside the balloon cools, it descends. The hot air balloon is the oldest successful flight technology for carrying humans, dating back to its invention by the French Montgolfier brothers in 1783. 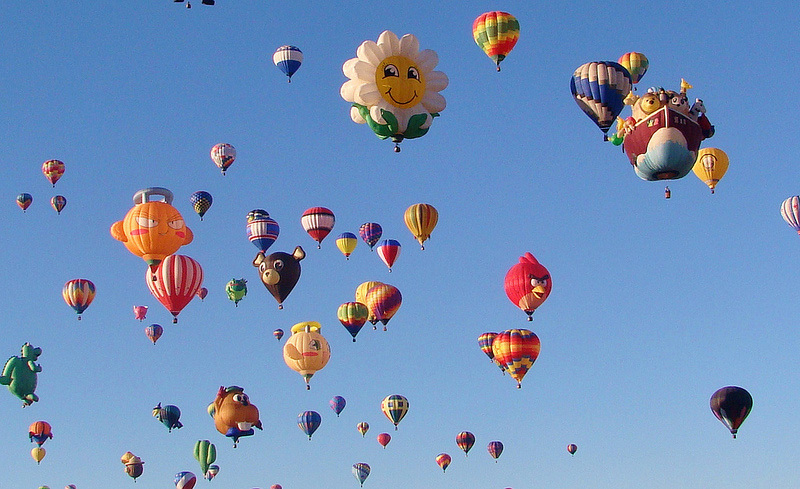 Balloon fiesta in Albuquerque, New Mexico; photo by littlemoresunshine on Flickr (use permitted with attribution). 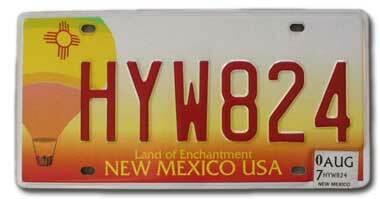 Red and yellow New Mexico license plate featuring a hot air balloon; photo by Norm Russo (used by permission).